The experience of Captain Jennifer Wirth encompasses many years of cruising in the Caribbean, both as a lifestyle and as a captain sailing with passengers for hire. Her experiences go back to her teenage and college years participating in sailboat races on the Great Lakes and dinghy racing on inland lakes. Jennifer grew up in Milwaukee, Wisconsin, where she fell in love with the sport of sailing in dinghies on Lake Michigan. As a teenager and young adult she participated as a regular crew member on several "big boats" racing on weekends "around the buoys" as well in the longer distance races like the famous Chicago-Mackinac race, Queen's Cup, and the Port Huron-Mackinac. Although her credit load in college at the University of Wisconsin-Madison -- where she earned her Bachelor of Science degree majoring in Physics -- was heavy, Jennifer still found time to sail, joining the Women's sailing team and competing on weekends across the U.S. She started her sail-teaching career at the University, as an instructor for the student-run Hoofers Sailing Club. After college graduation, Jennifer's love for sailing prevailed and she went in search of sailing opportunities in the Caribbean. She wound up working for a family aboard their 60 foot ferro-cement ketch for about 4 months, during which time she learned lessons about what NOT to do when cruising. Jennifer "jumped ship" and down sized to a 23 foot Herreschoff cutter, a little boat, but strong and stout. She lived and cruised aboard for next six and half years with her then- husband, traveling throughout the Caribbean and concentrating on the more remote, untouched islands; this unique experience taught Jennifer the meaning of self reliance. Living off the bountiful sea of fish, conch, crab, and lobster, and the lush islands of mangoes, avocados, coconuts, and land crabs, Jennifer learned that the lifestyle of “cruising simple” can be very rewarding and empowering. Jennifer's other boating experiences revolve around her other passion, fishing. She worked as a mate aboard sportfishing charter boats and party fishing boats out of the Florida Keys. She also was manager of a boat rental company for about 5 years in the Keys. 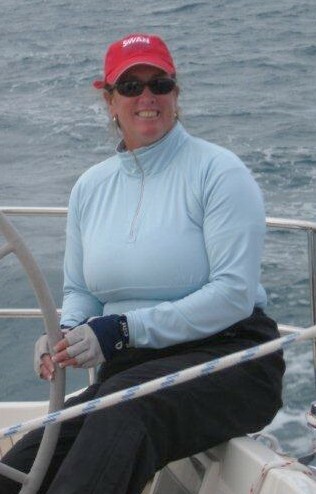 Jennifer earned her 100 Ton Masters Captain's License in 1995 and has been an active captain running sailing charters out of Miami to the Keys and Bahamas aboard monohulls and catamarans, and fishing trips in the Keys. 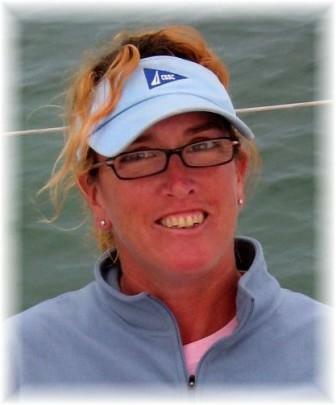 She is also an active ASA (American Sailing Association) sailing instructor since 1999, teaching beginning sailing up to the Advanced Coastal Cruising level (ASA 106). Jennifer has extensive experience in the boat chartering/rental industry, having worked in all aspects of a South Florida charter company for 6 years. Captain Joe Logan grew up racing junior sailboats on Biscayne Bay, Miami Florida, since the age of nine. Joe and his family traveled to junior regattas across the country until he made the US Junior National Team in 1982. From this accomplishment he attended the World Junior Sailing Championships in Italy, Brazil, Australia, and Canada. A multiple time national champion, Joe was recruited by many universities’ sailing programs, and finally chose Old Dominion University. As a varsity skipper, Joe helped ODU attain varsity, team racing, and sloop “J24” NCAA Division 1 national championships. After completing a Masters Degree in Adult Education, Corporate Training, Joe took his racing experience and education to Long Island Sound where he taught racing clinics at 30 of New England’s finest yacht clubs. From these experiences Joe had the opportunity to manage summer junior sailing camps at Noroton Yacht Club, Mannassett Bay Yacht Club and Indian Harbor Yacht Club. 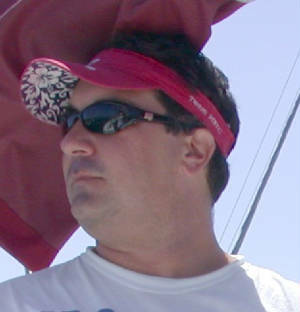 Joe earned his USCG 100 Ton Masters license in 2002 and became an ASA sailing instructor. 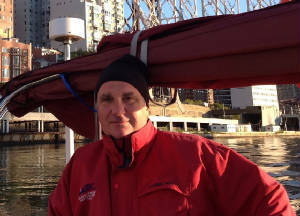 After a year of experience with other schools, Joe then found the opportunity to teach for Blue Water Sailing School. Since then, Joe has been proud of the accomplishments, receiving the award of ASA Instructor of the Year 3 years running. Joe works all BWSS venues; Newport in the summer, USVI in the winter and Ft. Lauderdale in between year round.